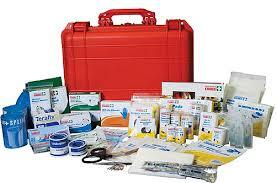 There are a wide range of first aid kits out there, from very basic to first aid kits the size of small suitcases! 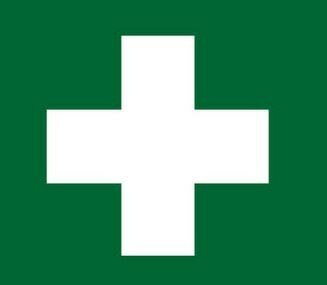 What the parts of a first aid kit are called? Activated Charcoal and Syrup of Ipecac should be given if a child takes a poison and the Poison Control Center instructs you how to administer the medicine. Antiseptic ointment helps sterilize and clean a wound. Antibiotic ointment will help kill bacteria and prevent wound infection. One or both are very useful to have in a kit. An emergency blanket is useful to keep a person in shock or hypothermia warm or to shade a person with heat related illnesses. A flashlight will help give first aid in the dark, but also signal for help, look in someone's ears, throat or check their eyes for responsiveness. Baggies are helpful to hold teeth that have fallen out or secure personal belongings of a victim. **You will learn how to use most of these items during different situations and practice role playing with them in station 2 of this workshop.